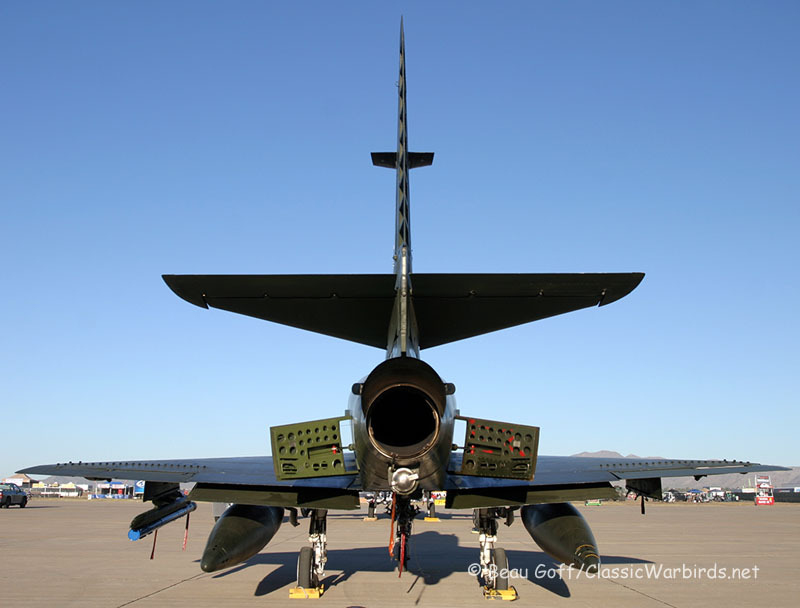 Every two years, Luke Air Force Base gathers exceptional static and aerial displays and performers, and then packages them into one of the best airshows in the country. This year was no different. 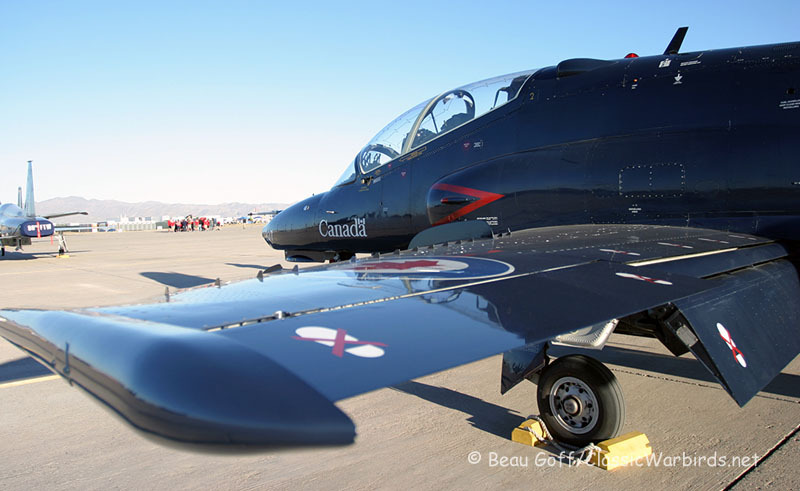 Featuring such acts as Kirby Chambliss, Greg Colyer, The Golden Knights, Tora! Tora! Tora! 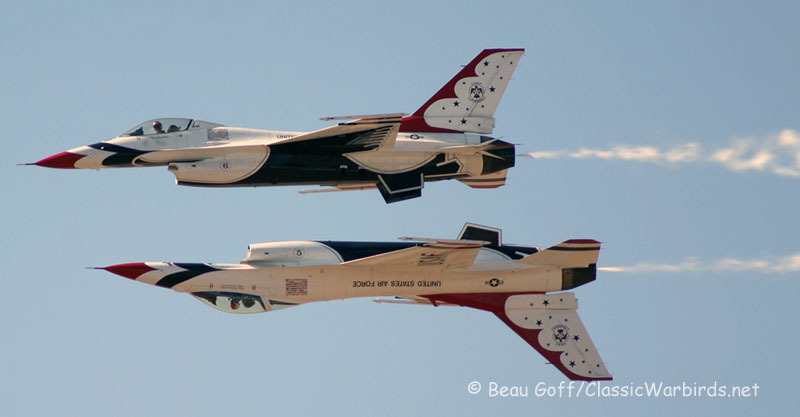 and the United States Air Force Thunderbirds, as well as a great static group, this year had it all. Included in this year’s static displays were the CAF B-25, B-17, P-40 and AT-6 Texan. Draken International provided a “Heinemann's Hot Rod” otherwise known as an A-4 Skyhawk. Also present on the ramp, and providing ample amounts of shade, was a C-17 Globemaster III, a C-130J and a KC-135. Rounding out the static displays included several F-16s from Luke, a couple L-39s, F-15s, a B-1 bomber and an A-10. Popular with anyone who likes a big gun stuffed into a mean looking airplane, America's favorite ground-pounder, and the gold standard for providing close air support migraines to the enemy, it constantly had more than a few supporters grinning with admiration. The B-1 provided more shade, but its sleek, supersonic design never did yield as much shelter as the larger wings of the C-17 and KC-135. Nonetheless, the aircrew seemed to have a great time answering questions about the massive, four-engined, Mach-busting bomber. Across the tarmac, one of the best parts about Luke Days is the access to the pilots and crews based here, providing the next generation of American Airman the chance to be inspired once more. It was difficult to fully ascertain who was having more fun; the kids eagerly looking into cockpits and asking questions with grins, giggles and dreams... or the pilots and crews, just as eagerly answering the questions and fueling those dreams. The Golden Knights are the United States Army Parachute Demonstration Team, and to open the show, a Golden Knight unfurled an American Flag after deploying his parachute canopy. The Stars and Stripes waving bright behind him, the National Anthem playing as he descended. The Golden Knights would fly a different show a bit later, too. Kirby Chambliss followed, flying his Edge 540 aerobatic aircraft. Kirby performed lunch-launching, mind bending maneuvers that shouldn't really be possible in an airplane with deft precision. Shortly after that, Greg Colyer took Ace Maker II to the sky. 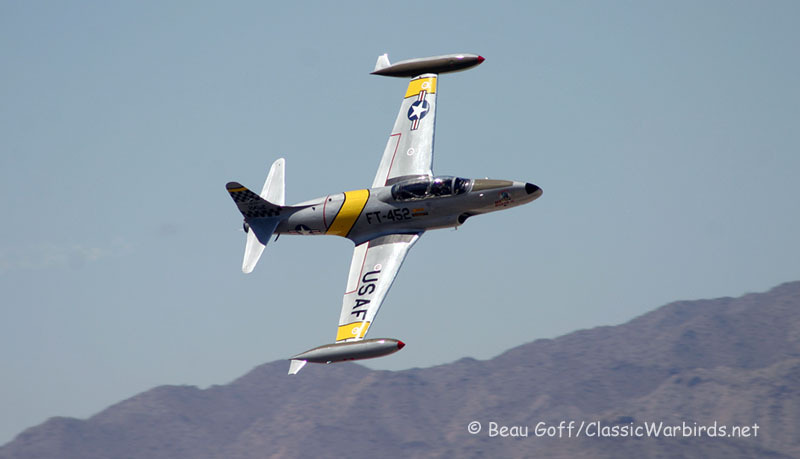 Once the premier jet trainer of the 1950's, Greg made it clear this is a fighter-derived design. His maneuvers are precise, fast, and gorgeous. Ace Maker II might be a little over half a century old, but in Greg's expert hands, she hasn't lost a bit of performance. This year’s airshow season, and beginning at Luke Days, will feature the first ever Lockheed F-35 Lightning II Heritage Flight Demonstration. The Heritage Flight was conceived, and is flown with a vintage aircraft and a modern aircraft in tight formation, as a tribute to all who have worn United States Air Force and Army Air Force Aviator wings in the defense of the United States. 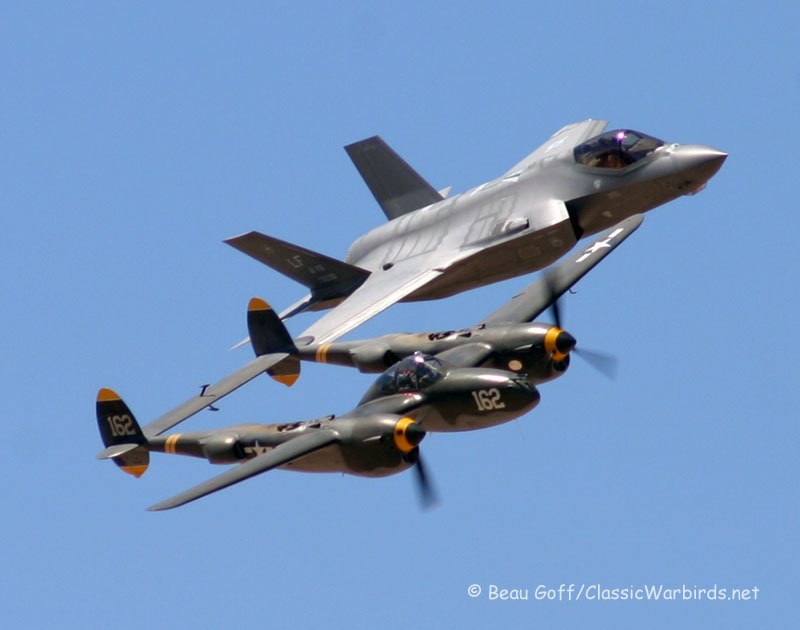 The F-35 gets its name from the legendary, unmistakable P-38 Lightning from World War 2. While there are only about seven or eight airworthy P-38's, Steve Hinton from the Planes of Fame Air Museum in Chino, California brought one of them, “Skidoo”, for this year’s performance. There's definitely a little bit of magic when two aircraft, generations apart in design and technology, come together to cross the sky in formation with reverence to the history they represent. There might be almost eight decades between them, but the language they speak is the same. Along with the Heritage Flight, a massive demonstration of American firepower from the Luke-based 56th Fighter Wing left no doubt whose side you want to be on in a time of conflict. Flying the actual maneuvers they train for, combined with an excellent pyrotechnic display, the pilots yanked and banked their venerable F-16 Vipers with copious amounts of ground-shaking afterburner through a simulated close air support mission. The ability of the F-16 to put the hurt on the enemy, while getting our soldiers out of danger was on full display. Sure glad they're on our side. Speaking of pyrotechnic displays, the Commemorative Air Force’s Tora! Tora! Tora! reenactment of the attack on Pearl Harbor provided a stoic, sobering reminder of the often terrible price which must be paid to protect the freedoms we hold most cherished. 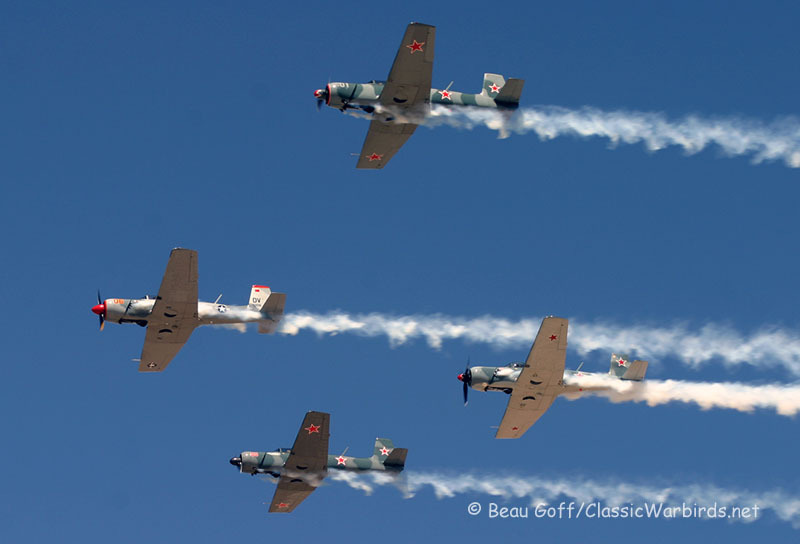 This display features Japanese aircraft flown in a simulated attack with a stirring narration and a hellacious, fiery display of explosions and smoke. While it is doubtful any reenactment could fully capture the hell on earth that was December 7th, 1941, after witnessing Tora! Tora! Tora!, those in attendance were moved, some to tears, and all to reverence. For the finale, it was the Thunderbirds’ turn to show us the definition of perfection from the ground to the sky. Every aspect of a Thunderbirds demonstration is coordinated, rehearsed, checked and double checked. The ground crew and pilots approach their aircraft, salutes snap like lighting. Every step, every movement is on point. As the pilots start and warm up their F-16's anticipation is high. 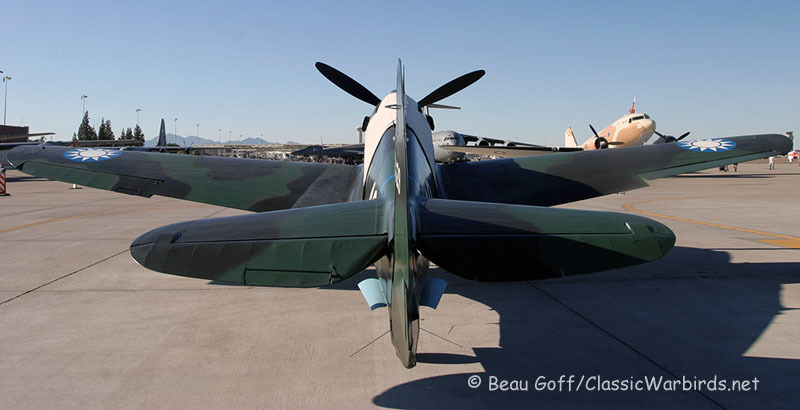 It doesn't take long before all six aircraft have thundered into the Arizona sky. Needless to say, once again, there is little doubt the United States possesses some of the best fighter pilots in the world. All of the trademark maneuvers are there. The Calypso Pass, Reflection Pass, Four Abreast Loop, High Bomb Burst... and of course a few thrilling, full afterburner sneak passes. Flying inches apart in perfect unison, the finest pilots in the Air Force sweep through the sky with grace, power and absolutely unyielding precision. In what is always too short a time, the airshow comes to a close, and we look forward to Luke Days, 2018. Photorecon and the Author give our most ardent thanks to Luke Air Force Base, the 56th Fighter Wing, Brig. Gen. Scott Pleus, Commander of the 56th Fighter Wing, Major West, the Luke AFB Public Affairs Office, the U.S. Army Parachute Demonstration Team “Golden Knights”, the Performers, Static displays and everyone who put in the efforts required to conduct such an excellent airshow. Posted in airshows, Bombers, U.S. Air Force Tags: A-26 Invader, A-4 Skyhawk, Ace Maker, B-17, CJ-6, F-4 Phantom, Heritage Flight, Home of the Fighter Pilot, L-39, L-5, Luke AFB 75 Years Old, P-38 Lightning, P-40, T-33, Tora! Tora! Tora!